Participate in NAR’s MVP Program by registering for an instant quote on ASPCA® Pet Health Insurance from March 1st – 15th, 2019 to gain access to a unique reward! Request an instant quote on ASPCA® Pet Health Insurance from REALTORS® Insurance Marketplace, a comparative shopping site for health insurance and supplemental needs just for members of the NATIONAL ASSOCIATION OF REALTORS®. 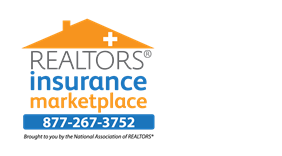 All offerings available through REALTORS® Insurance Marketplace are made available to NAR members through the REALTOR Benefits® Program. This Action is Part of NAR’s Member Value Plus Program. A Program Created for Members to Earn Rewards by taking Action. Click here to complete your action! The ASPCA® is not an insurer and is not engaged in the business of insurance. Products are underwritten by the United States Fire Insurance Company, produced and administered by C&F Insurance Agency, Inc. (NPN # 3974227), a Crum & Forster company. Through a licensing agreement, the ASPCA receives a royalty fee that is in exchange for use of the ASPCA’s marks and is not a charitable contribution. C&F and Crum & Forster are registered trademarks of United States Fire Insurance Company. Crum & Forster Pet Insurance Group™ is a trademark of United States Fire Insurance Company. The Crum & Forster group of companies is rated A (Excellent) by AM Best Company 2018. See website for eligibility, state availability, terms, and conditions.